This classic egg salad recipe can be enjoyed for breakfast on toast, or for lunch in a wrap, over salad or in a sandwich. Sometimes I just eat it with a spoon right out of the container! 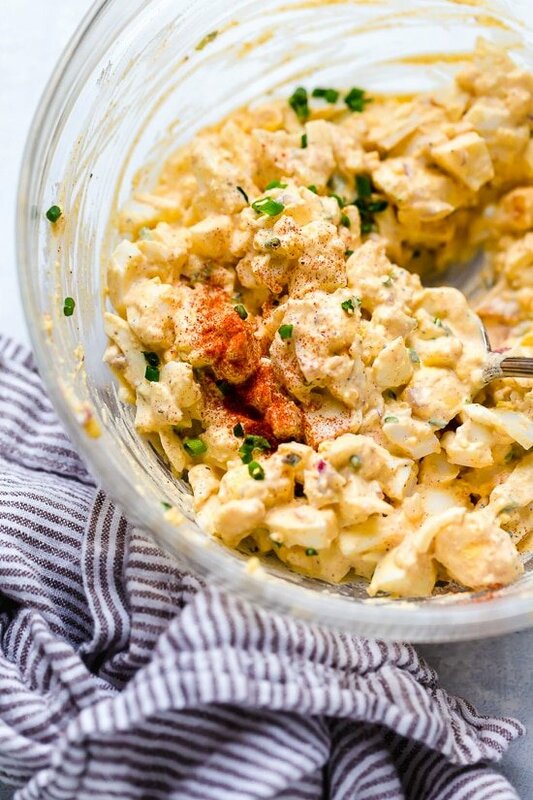 It’s funny how I have so many variations of egg salad recipes on my site, like this Chickpea Egg Salad and this Avocado Egg Salad, yet don’t have this classic, which I eat all the time. Problem solved! I make a batch of Instant Pot Hard Boiled Eggs and make this on the weekend to have for the week. You can easily double or triple this recipe.